A quick reference guide to get you going with Angular development. It uses Angular v4 with TypeScript. Learn some effective error handling strategies that you can use in your .NET projects. Learn how Behavior Driven Development (BDD) works with a real-world example of how to use it. Aspect Oriented Programming (AOP) in C# using SOLID principles, with challenges and solutions. So far, we have published 43 AngularJS tutorials and articles, which have been read by over 1837279 (One Million Eight Hundred Thirty Seven Thousand Two Hundred Seventy Nine) developers and architects. Abstract: This Angular tutorial demonstrates how to use Ngrx store to handle application state across Angular objects. Abstract: Routing is an important aspect of building a SPA (Single Page Application). In this two-part Basic to Advanced tutorial on Angular Routing, we will discuss all the important components required to implement routing in your applications. Abstract: In this tutorial, we will see how to use Angular CLI to set up the environment for unit testing and then show how to test Angular components in that environment. Abstract: This Angular tutorial summarizes the evolution process of the Angular.js framework. It attempts to look back at the original context of Angular application development and how it has progressed. It covers Angular 1.x, v2, v4, v5 and Angular version 6. Abstract: This Angular tutorial explains how Angular uses Ahead of Time (AoT) compilation on the browser and then demonstrates how it improves the runtime performance of the page. Abstract: Explore advanced scenarios with the HTTP Client in Angular. In this tutorial, we add headers and parameters to the request, access the response object, work with the HTTPEvent, and look at Interceptors in Angular. Abstract: Dependency Injection is an important feature in Angular to build scalable web applications. This tutorial will explore the API for DI in Angular that allows us to inject anything, thus making the code extensible and testable. Abstract: Use Angular services to communicate data across components using Event Subscription and Notifications. Abstract: Learn the basics of making HTTP calls over GET/POST/PUT/DELETE methods in an Angular application. Also explore error handling scenarios and solutions for separating presentation logic from service API integration details. Abstract: This article explains the role of data binding in a front-end Angular 5 application. it then introduces the readers to interpolation and property binding techniques in Angular. Abstract: Learn how to install Angular CLI, create an Angular project and run different tasks provided by Angular CLI on it.This tutorial also explains the importance of a generator to build Angular applications. Abstract: Using Angular Universal and Node.js to build an application using the Pokémon API to show a list of pokémons and their details. The application would be rendered from the server. Abstract: This article explains the high level architecture of an Angular application. Then it discusses the core concepts of the framework with some sample code snippets written in TypeScript. Abstract: This Angular cheat sheet is a quick reference to get you going with Angular development. It uses Angular v4 with TypeScript. Abstract: Using Angular ng-template to promote a HTML Table as a Data Grid with databinding for CRUD operations. Abstract: Comparing VueJS to Angular and React js based on account performance, functionality, design flexibility and the learning curve. Abstract: In this tutorial, we will explore how to develop an Angular 4 application using TypeScript. We will also explore Angular 4 New Features, Angular CLI, as well as differences between Angular v2 vs 4 application development. Abstract: Setting up Angular 2 with Webpack. Webpack optimizes module loading in the browser by minimizing the number of requests, and reducing the overall size. Abstract: This Angular 2 DatePicker tutorial shows how to use the DatePicker UI element from the Angular 2 bootstrap project. Abstract: In an Angular 2 application, a parent component can pass data to a child component. This article will demonstrate how to do it using @input binding. Abstract: Using $httpBackEnd object in Angular.js for unit testing Angular services. Abstract: Understanding Angular.js services and factories, its differences and which one should you use. Abstract: Unit testing Angular Controllers using Jasmine and Karma without requiring DOM. Abstract: Angular 2 is written from ground-up using latest features available in the web ecosystem. This article explains some core concepts and principles and also teaches you how to create an Angular 2 component using TypeScript. Abstract: Use Require.js and Angular.js in Visual Studio. We will use Bower to manage dependencies. Abstract: In this article, we will how to use Angular’s $http service in an ASP.NET MVC app to retrieve data from the server. Abstract: This AngularJS cheat sheet aims at providing a quick reference to the most commonly used features in AngularJS. This cheat sheet is part 2 and aimed at Developers having Intermediate/Advanced skills. Abstract: This AngularJS cheat sheet aims at providing a quick reference to the most commonly used features in AngularJS. It will also make you quickly productive with Angular. The cheat sheet is divided into two parts: Beginners and Intermediate/Advanced Developers. Abstract: Explore how AngularJS Services plays an important role in our application development. 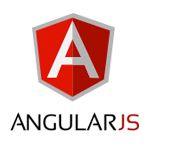 We will separate the HTTP service call into AngularJS service and use it by injecting it into our Controllers. Abstract: Use some of the built-in AngularJS Directives and learn how to apply filters, to sort and filter a table. Abstract: Take a closer look at AngularJS Controllers. We will use AngularJS controllers to build the model for our Project Tracking website. Initially we will build the models for our project with some static data and later we will replace them with calls to HTTP Services. Abstract: A brief overview of why do we need AngularJS, what is AngularJS and an example of using AngularJS. This article is Part 1 of an interactive Project Tracking website using ASP.NET Web API and AngularJS. How to Choose the Right .NET Collection Class? Facade Design Pattern: Still relevant in ASP.NET Core? VSTS is now Azure DevOps. What has changed and why? How does a C# LINQ Query execute and How does this affect Performance? © 2007-2019 DotNetCurry.com (A subsidiary of A2Z Knowledge Visuals Pvt. Ltd). All rights reserved.